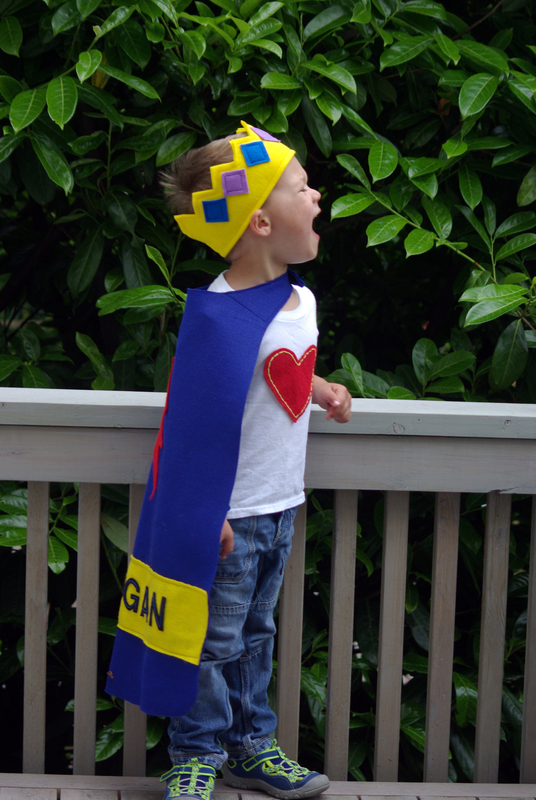 If you are interested in making a crown here is a pattern. If you are interested in buying one here is a link to my Etsy store. 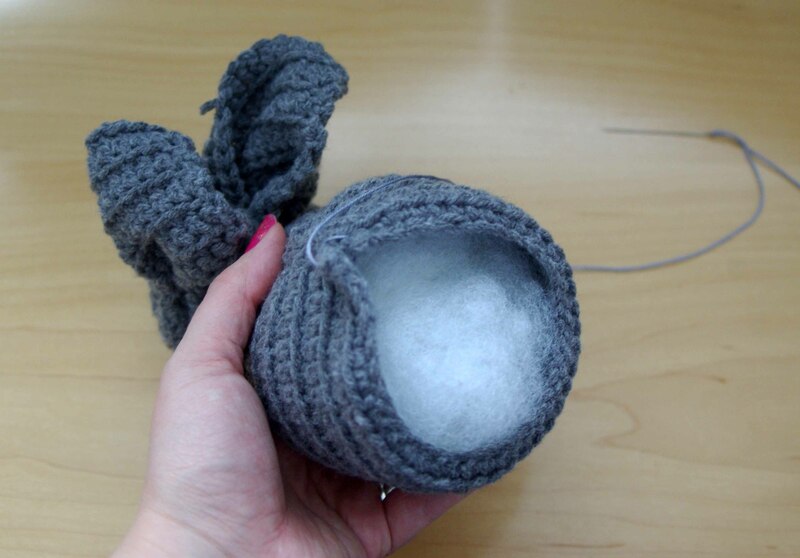 If you are new to knitting or crochet these little bunnies are quick and easy. 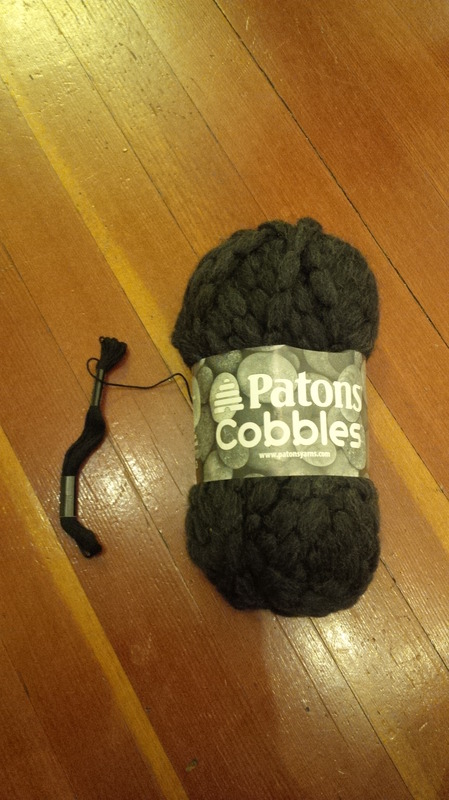 These are a great way to use swatch gauge’s, small balls of yarn or to try out new stitches. Step 1. 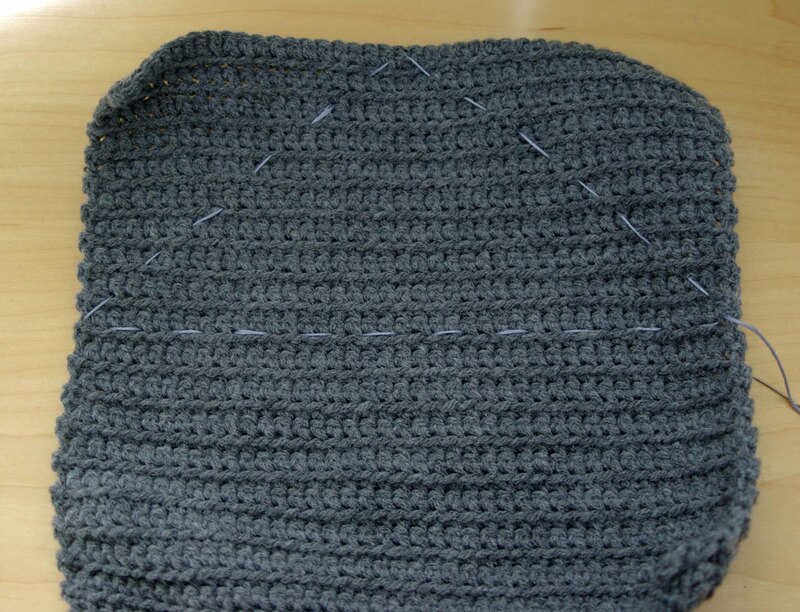 Crochet or knit a square 8″x 8″ square. Size really doesn’t matter in this case. 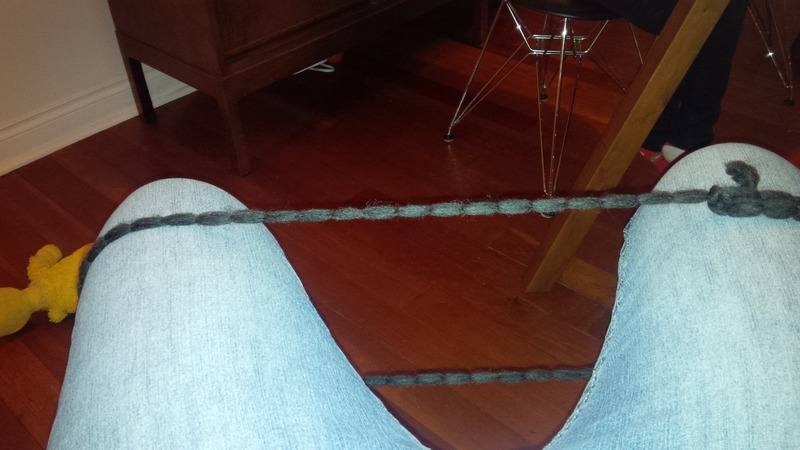 Neither does the yarn weight. Step 2. 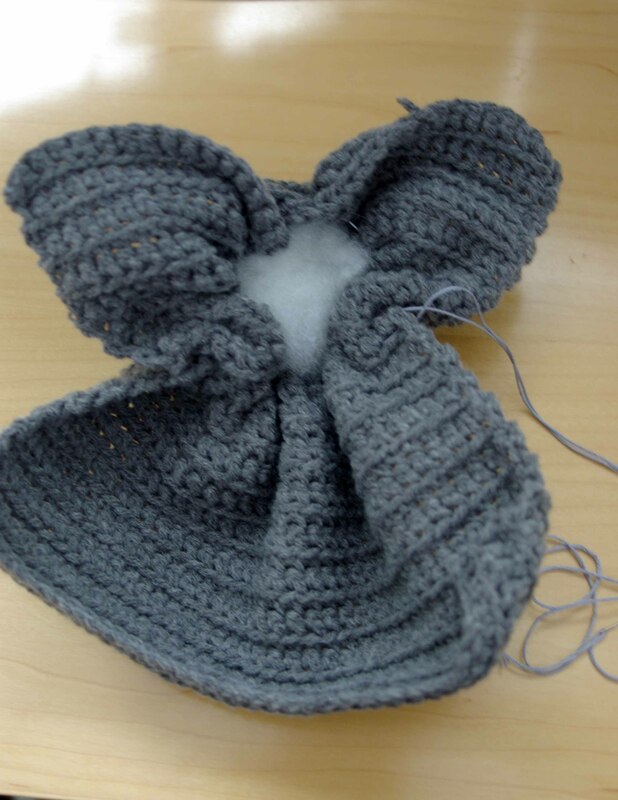 Using an embroidery thread in a matching colour, sew a triangle. Step 8. 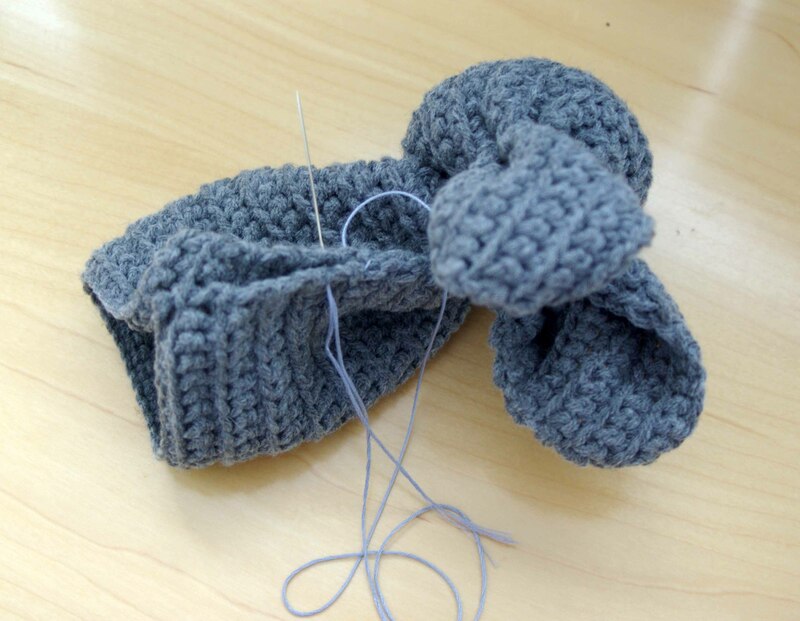 Sew on a tail (pom pom), eyes, nose (buttons) and tie a ribbon around the bunnies neck. I used store bought pom poms but you could easily make one too. 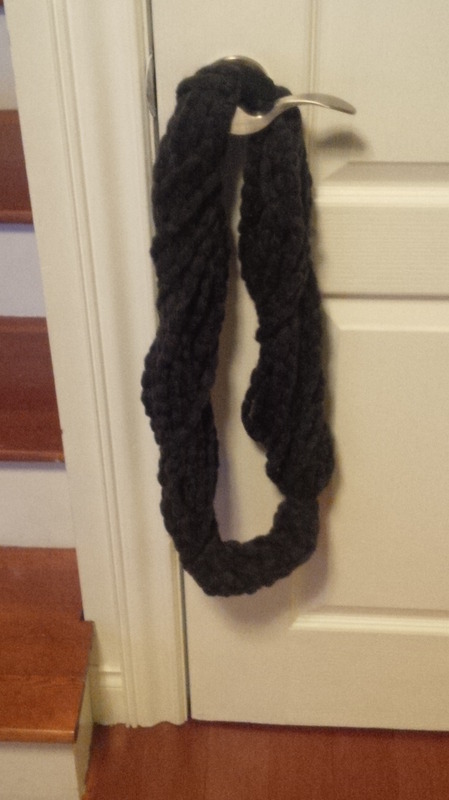 If you are in need of a last-minute gift this is a quick handmade scarf perfect for a sister, mother, or wife. 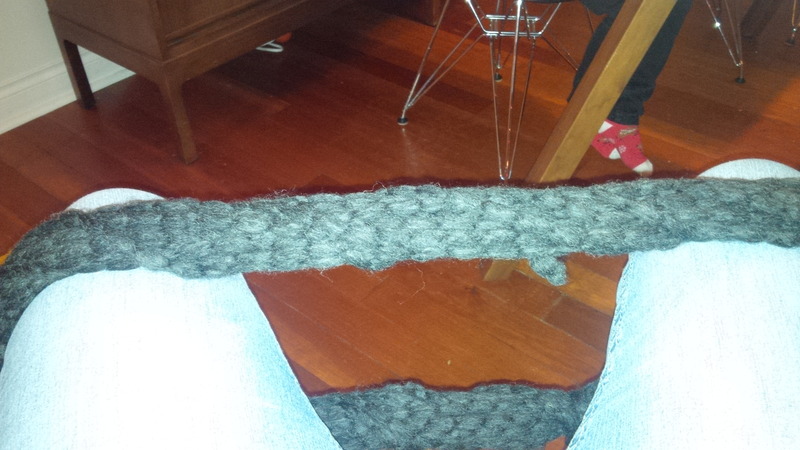 I would be so impressed if my husband made me a scarf for Christmas. All you need for this is a ball of yarn, and a skein of embroidery floss (that’s what a thing of embroidery floss is called which you can get from the dollar store) and about 20 minutes. 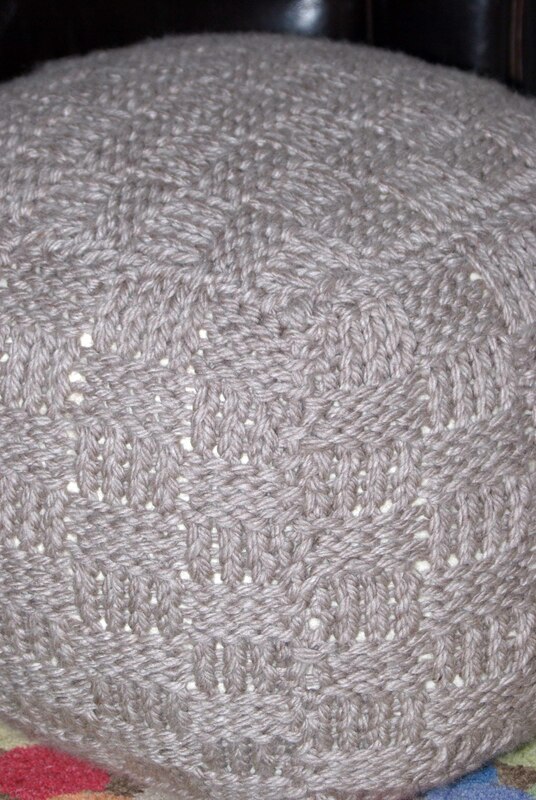 I used Patons Cobbles in Chargrey for the one pictured and black embroidery floss. Thanks to Meaghan Patterson for this craft. 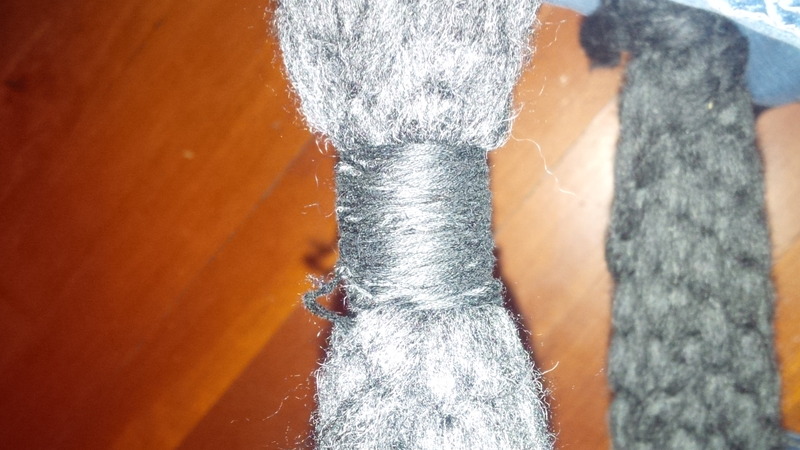 Picture 5 – loop the embroidery floss until it’s all used and tie the ends together. That’s it. In the spring I made some outdoor poofs to be used on the deck. When they migrated indoors for the winter the colours didn’t jive with the indoor decor, so I knit one of them a winter coat. I don’t need any extra seating for the holidays because I am a bit of a chair junkie. 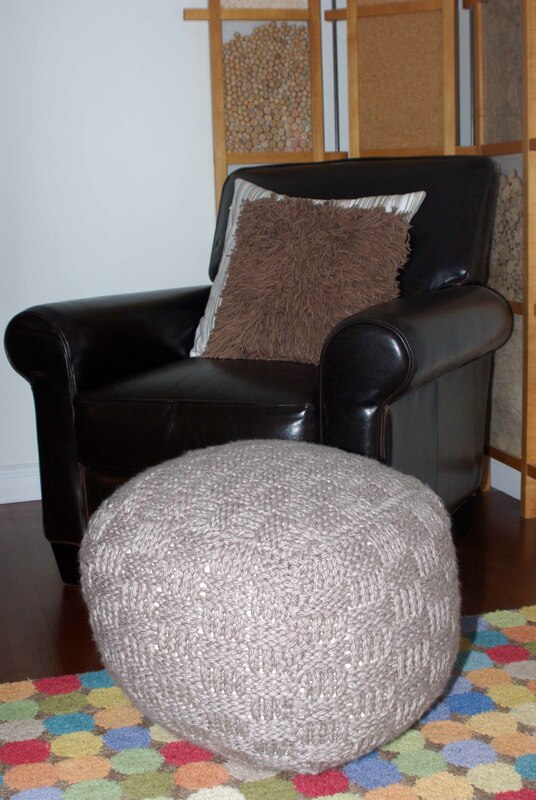 But the kids like the knit poofs and they are slightly more sophisticated than bean bag chairs. 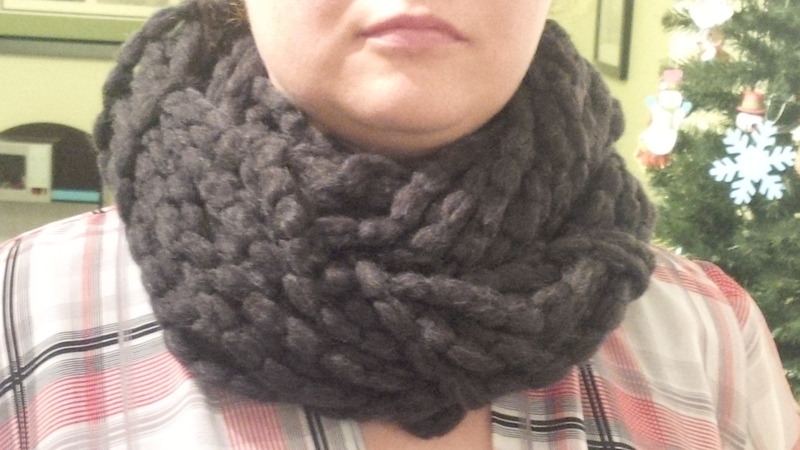 I made this one using Red Heart Grande in Oatmeal which might be my new favorite yarn. 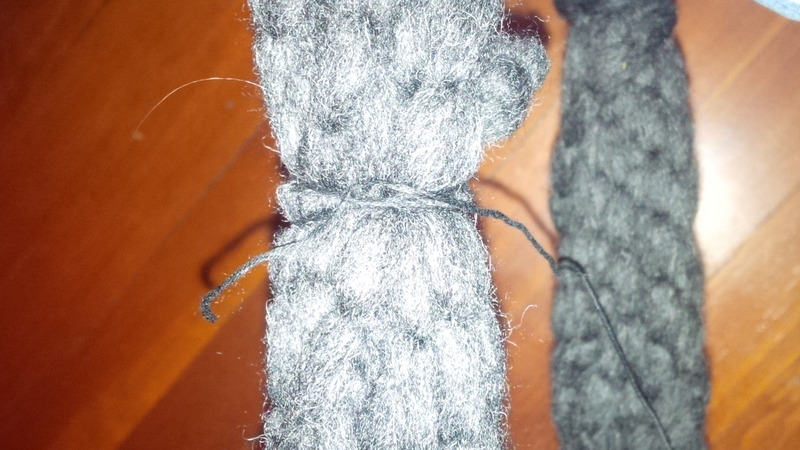 I made up the pattern as I went, and knit 6 squares which I sewed together. The pattern is a K4, P4 basket weave.